There are so many subjects you can write about Star Wars and in this book it's about the battles and fights. The book's split into three parts. The first part features the battles from The Clone War, more specifically of Naboo, Geonosis, Christophsis, Ryloth, Coruscant. The second part covers The Galactic Civil War, more specifically of Scarif, Yavin, Hoth, Endor and Jakku. And there's a last and tiny part on the battle on Starkiller Base. Each battle is presented with an introduction, prelude, tactical analysis and aftermath. Commanders, combatants, weapons and vehicles are highlighted. There's also a first-person account from someone who has fought in that war. The book is laid out very simply with clear sections of text and accompanying artworks. 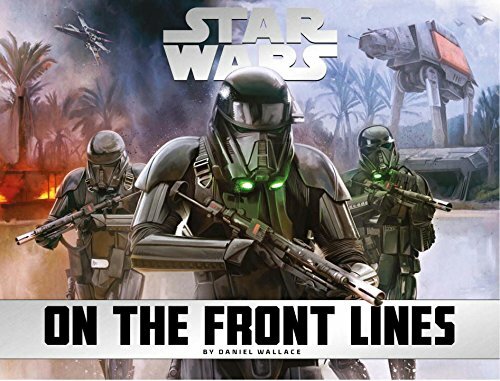 The artworks aren't the best that I've seen compared to other Star Wars artbooks but they are decent and serve their function to illustrate different parts of the war. Most artworks are drawn in concept art style. There are full or double page paintings, art of individual combatants and vehicles. This book should appeal to those who like the technical aspect of Star Wars and who want to learn basically any and everything about the Star Wars universe.